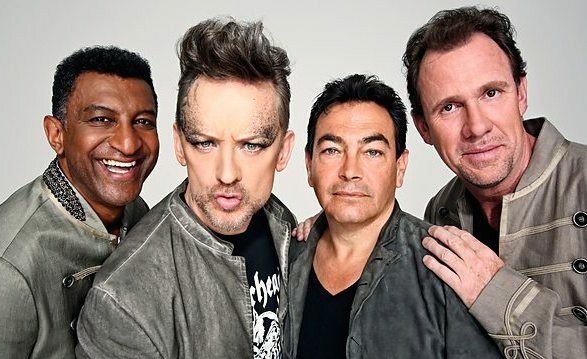 ❚ NOBODY HAS YET SAID whether we can expect to hear a track from Culture Club’s new album at this Saturday’s live concert on BBC1. 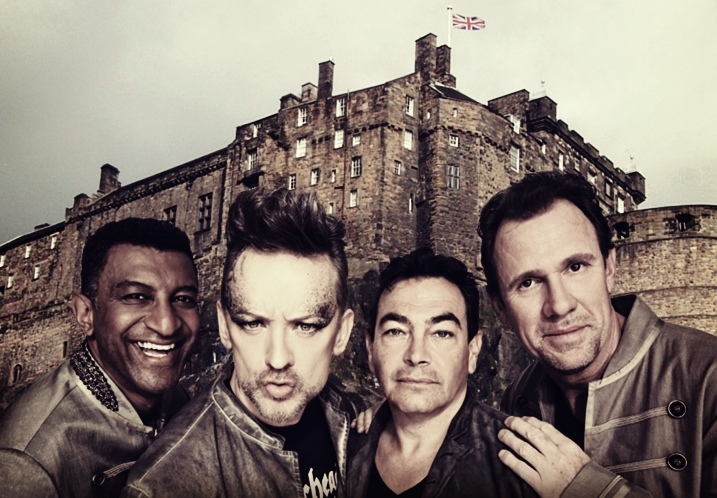 The newly reformed 80s supergroup kick off their comeback among a dozen acts giving a spectacular two-hour concert, Live at Edinburgh Castle, before 8,000 people ahead of the opening ceremony of the Commonwealth Games in Glasgow. The One Show’s Alex Jones will present a line-up of international acts, including Jessie J, Kaiser Chiefs, Culture Club, Smokey Robinson, Rizzle Kicks, Paloma Faith, Katherine Jenkins, Il Divo, One Republic, Alfie Boe, Ella Henderson, Pumeza and the BBC Scottish Symphony Orchestra – plus comedy from Bill Bailey. 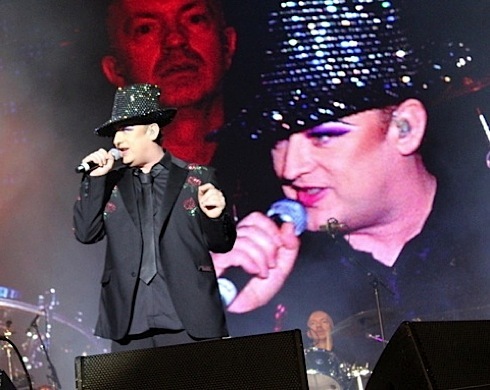 This will be the first time the original members of Culture Club have performed together in 15 years. 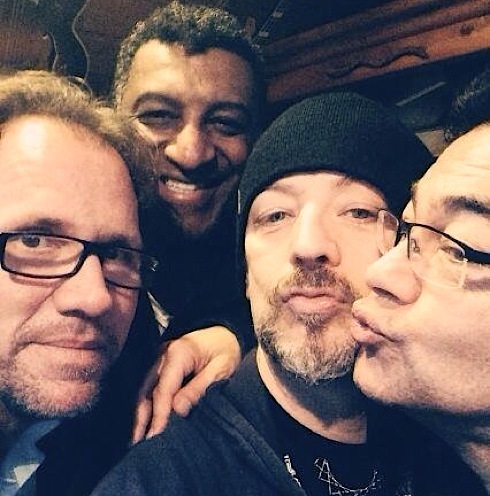 They are Boy George (lead vocals), Mikey Craig (bass guitar), Roy Hay (guitar and keyboards) and Jon Moss (drums and percussion). Time for three numbers is allotted, but not a dickybird yet has leaked out about what the band will play. The past couple of months have been spent in the studio rehearsing new tunes for their 11-date tour with Alison Moyet in December. ❚ THE 80s REUNION OF THE NEW YEAR had been long touted and sceptically doubted. 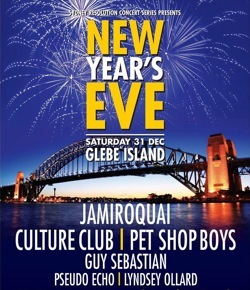 Yet suddenly on November 15 Australia’s number one breakfast show Sunrise on Channel 7 had a world exclusive: the 80s supergroup Culture Club were reforming to play live at the New Year’s Eve celebrations on Glebe Island right in Sydney harbour. That week Shapersofthe80s reported the amazing news. There on video we saw all four members of the chart-topping band with their vocalist Boy George sporting his powder blue Treacy hat, squeezed into a tiny studio in London. But everybody’s body language looked awkward, not helped by the satellite link causing long silences in the London-Oz conversation. 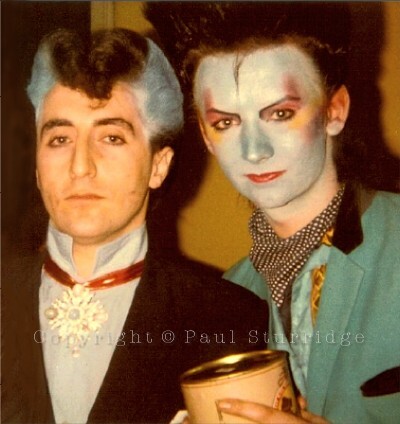 Once each member spoke up, however, they seemed able to laugh at themselves, including drummer and onetime lover of George, Jon Moss now married and aged 54, who attended George’s last birthday party with his wife. All three were papped there in a smiling embrace. In the Sunrise interview, however, Jon wore a wearisome expression as he sat behind George, like some jaded husband who’s heard the wife making promises a million times before. And when asked why it had taken ten years to get together, Jon fessed up that “It takes that long to recover from the last time we worked with each other”. Nobody laughed, only averted their eyes. This might of course have been Jon being his usual sardonic self. Or, even then, he might have been suffering the terrible back pain which it is said has laid him low since Christmas . Fans naturally started to ask what’s really up behind the scenes? Old friends initially suspected a classic attack with a hatpin, harking back to the old feuding of the 80s. 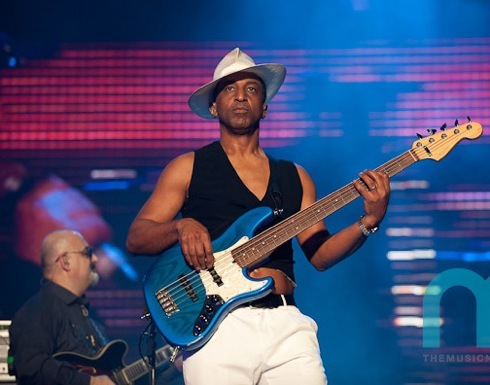 But talk within Culture Club circles this week confirms that Jon has suffered an authentic injury and is due to go into hospital for treatment. The camaraderie between George, Jon, Roy and Mikey is reported to have been rekindled and rehearsals actually enjoyable and relaxed enough for whoever is around to join in with the writing. At band dinners in Dubai and Sydney there was agreement that the two shows had gone well. George was being particularly sociable with everyone after hours, rather than doing his own thing as in the old days. Seven words spring to mind: Do you really want to hurt me? 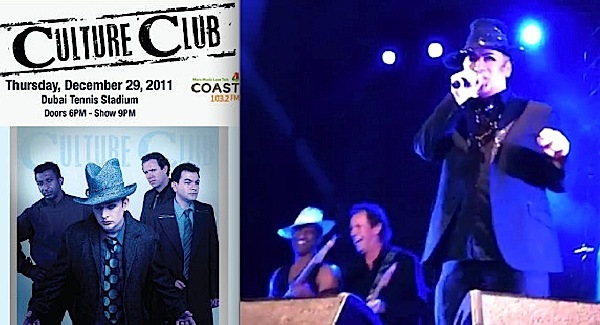 One other interview during December gave a glimpse inside Culture Club family relations. 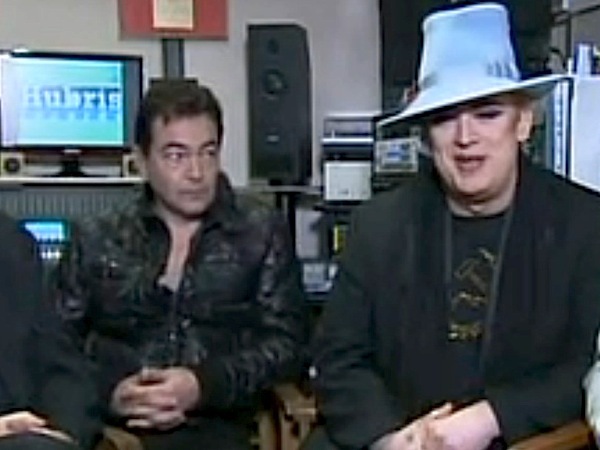 With George sitting on ITV’s This Morning sofa [video below] plugging his £500 coffee-table photobook, Philip Schofield and Holly Willoughby quizzed him about the infamous Culture Club split back in 1986, and the 10-year gap since the band’s last reformation. Make of that what you can! ❏ Standing in for Jon Moss as drummer in both Dubai and Sydney was Kevan Frost whose credits as a collaborator with George go back to the 90s, so the music was familiar territory for him. 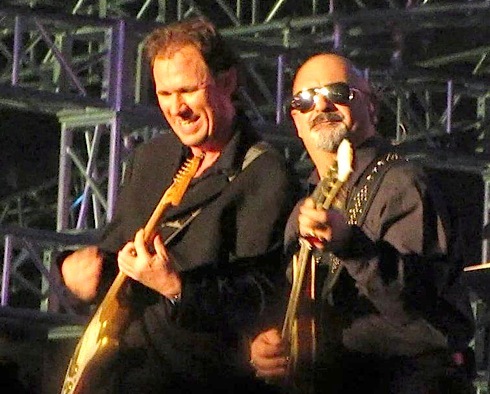 Prominent onstage, too, was the familiar bearded figure of John Themis on guitar, another long-standing co-writer and producer during George’s years as a solo performer. Also onstage, keyboard player, percussionist, four brass and three backing singers.